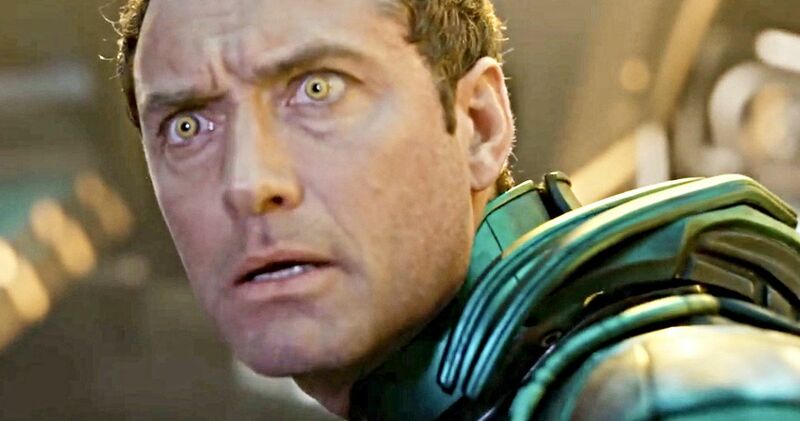 Jude Law Isn’t Mar-Vell in Captain Marvel, So Who’s He Playing? Funko accidentally spilled the beans on the mysterious Captain Marvel character played by Jude Law. When Law was cast in the upcoming Marvel Cinematic Universe project, it was believed he had signed on to play Mar-Vell, the original Captain Marvel from the comics. However, that is not the case. Instead, it looks like the actor is actually playing the villainous Kree officer Yon-Rogg, as seen in Funko’s upcoming line of Captain Marvel POP! figures. This has been speculated about this ever since Law would not confirm nor deny who he was playing in the movie. Since the leak, Funko has gone on to change the name of the Yon-Rogg POP! figure to the generic “Star Commander.” Marvel Studios is obviously trying to keep the details about Jude Law’s character under wraps, but it looks like it’s too late for that now. Yon-Rogg is a military commander whose weakness is his jealousy of the accomplishments of others, and he hates Mar-Vell in the comics. Law previously had this to say about his character in the movie. The first trailer for Captain Marvel makes it look like Law’s character is friendly with Brie Larson’s Carol Danvers, but there might be something sinister going on under the surface. This now leads to questions about who Mar-Vell will be in Captain Marvel. We know that the movie isn’t going to be exactly like the comics and that it won’t be a normal origin story for Carol Danvers, so it’s possible that she could be Mar-Vell in the big screen adaptation. Obviously, that’s all speculation at this point. But, there is something strange going on that will be revealed early next year when the movie finally hits theaters. This makes Captain Marvel even more mysterious. We know that she’ll already have her powers when the movie starts. Jude Law commented on Carol Danvers’ abilities and noted that a big part of the movie is her learning how to utilize her powers while also learning to harness her emotions as well. Danvers will have to learn to use her powers wisely, which might not be that easy to pull off when all is said and done. Avengers 4 comes after Captain Marvel, and many are wondering how she’s going to be introduced. It’s believed that the Quantum Realm will play a large part in bringing Carol Danvers to the present day, but that has yet to be confirmed by Marvel Studios, and it more than likely will not be confirmed until after the movie hits theaters. Regardless, the Carol Danvers standalone movie is looking to be a lot more intriguing now than it was before. The Funko Yon-Rogg POP! figure first surfaced over at Reddit, and you can check out an image of it below.